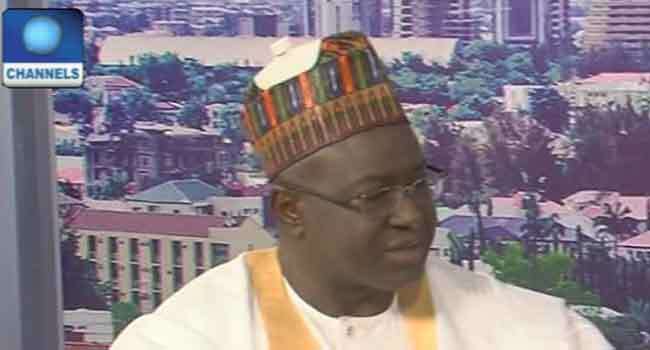 A member of the House of Representatives, Mr Yunusa Abubakar, has said that President Muhammadu Buhari’s pronouncement at the National Executive Council meeting of the All Progressives Congress cannot reverse the decision of the party. He stated this on Wednesday in Lagos when featuring as a guest on Channels Television’s Sunrise Daily while reacting to the controversy trailing the tenure extension of the ruling party’s executives. According to Abubakar, “Mr President’s statement is not enough to nullify the stance of the NEC”. President Buhari had on Tuesday, during the party’s NEC meeting in Abuja, said that the tenure elongation is illegal. The announcement was made on February 27, 2018, during the NEC meeting attended by President Buhari, Vice President Yemi Osinbajo, APC Chairman John Oyegun and other party chieftains. But the lawmaker explained that the President in his capacity as the party’s leader can only advise the party. He, however, maintained that the party’s NEC is higher in authority than the President being a member of the party. Abubakar added, “In this context, Mr President is only giving his own personal opinion. You can take it as an advice to the NEC because the National Working Committee (NWC) has already made a pronouncement. “After that pronouncement, some people felt that something is wrong with that pronouncement and they rushed to the court. So, it is a kind of pre-judicial issue. Nevertheless, Mr President in his own capacity can advise the NEC. With the general elections barely a year from now, political observers feel that the President publicly rejected the move that extended the party executives at all levels to save the ruling party from further litigations by aggrieved members. It is expected that the party needs to put its house in order if it truly wants to maintain its leading positions by reconciling all members within its rank and file.